It’s time for the second entry in my quest for a toned and tanned Dior beach body – and this time it’s all about the new Dior Svelte Body Desire treatment. The main attribute of this revolutionary formula is down to one key protein: adiponectin. A body that lacks firmness, tone and smoothness is often caused by a lack of this protein. This one-step cream has five different functions: it slims, firms, moisturises, tones and smooths the body for a more streamlined appearance, and this is all achieved thanks to that one exceptional ingredient. The gel-like cream feels wonderful on the skin and sinks in immediately for ultimate comfort. The texture makes it slightly cooling when applied, and it doesn’t feel sticky or tacky. With its delicate powdery floral scent, where green and citrus notes are met with sweet white flowers, the Dior Svelte Body Desire cream provides a feeling of tonifying freshness. This scent isn’t overpowering in the slightest, and doesn’t interfere with my fragrance. I don’t have cellulite – but I am feeling the effects of not exercising as much as I should have been this summer. My arms and thighs in particular are looking a little ropey, so I’ve been applying the crème religiously. These areas have really benefitted from the extra help this treatment has provided! The firming effect of the crème is something that I can definitely feel, and have done from even the first couple of applications. 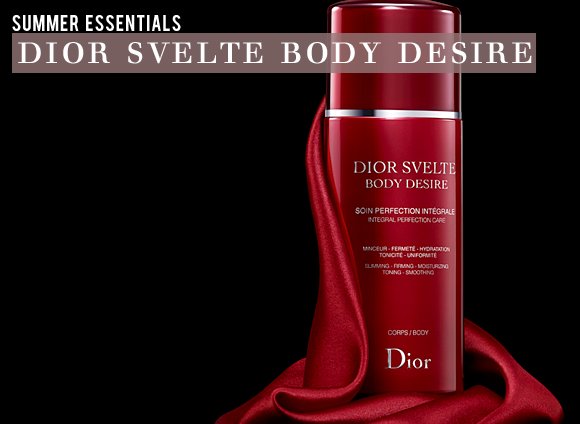 The Dior Svelte Body Desire has a slight tightening effect on the skin which makes you feel instantly lighter and more toned. I feel that the elasticity of my skin has also improved greatly with four weeks’ use. I love the level of moisturisation I get from this gel-crème – it’s deeply hydrating and plumping but it doesn’t feel heavy or greasy. It actually feels very cooling, which is unexpected but definitely welcome in light of the muggy weather that we have experienced over the past few weeks. Applying this after my shower has meant that I didn’t have to moisturise twice a day, and that is something I had never experienced before. The firming effect of the crème together with its toning capabilities has made my thighs look a lot more streamlined. My skin doesn’t just feel smoother – it really looks it too, and the colour and texture is a lot more uniform. 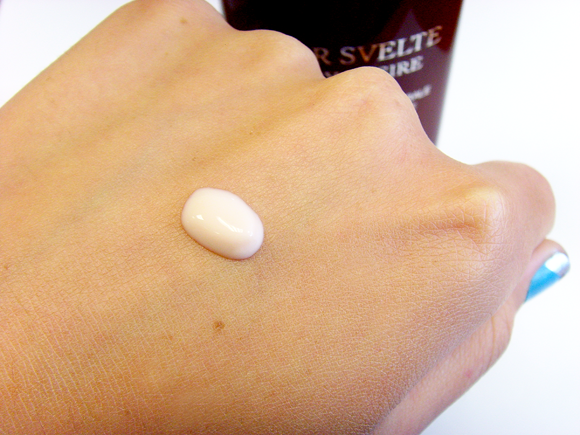 The unique satiny texture of the crème leaves the body with a touchably soft finish. 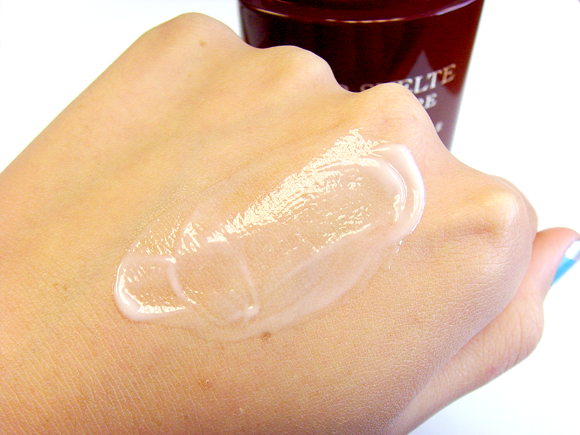 This entry was posted on Thursday, August 9th, 2012 at 10:08 am and is filed under Skincare. You can follow any responses to this entry through the RSS 2.0 feed. You can skip to the end and leave a response. Pinging is currently not allowed.